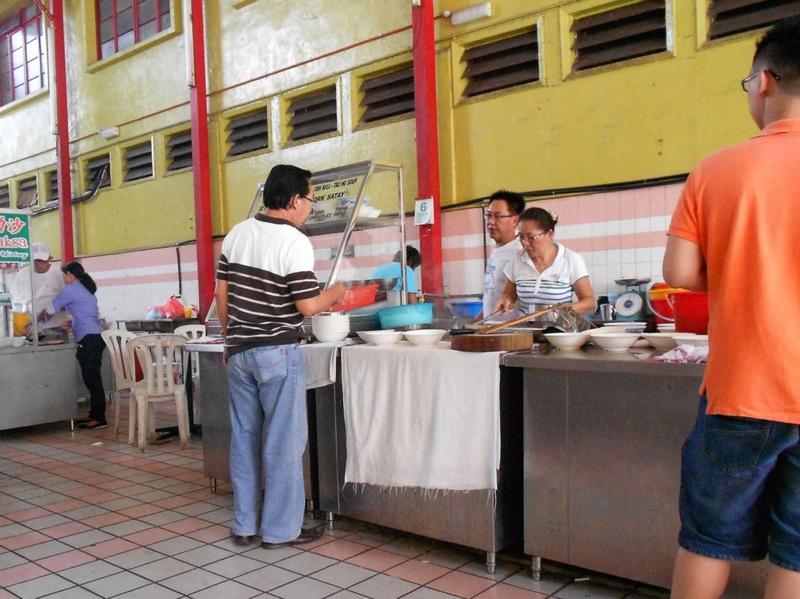 Some of the best dishes in Malaysia can be tasted at its simple hawker centres, while sitting on a plastic chair and surrounded by bustling food stalls. The country’s deliciously diverse food is a great reason to visit. Here is what to eat and where to find the most famous hawker dishes in Malaysia: food paradise. Eating is Malaysia’s self-declared national pastime. Malaysians will travel far for the best version of a certain dish and often greet each other by asking sudah makan?, meaning, ‘have you eaten?’ Due to its geography and political history, the country’s cuisine has been influenced by China, India, Indonesia, Thailand, the Netherlands, Portugal and the UK. This diversity gives its dishes a variety of complex and delicious flavours. Passing through Penang, Kuala Lumpur, Borneo and the Perhentian islands, I was lucky enough to try some tasty examples. 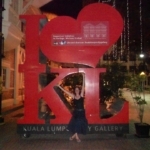 When I arrived in Malaysia after my trip to Thailand, I found what I was after. The amazing street food in Penang wasn’t hard to find: in the evenings, an array of temptingly cheap and scrumptious food stalls lines Chulia Street, not far from my hostel on Love Lane. 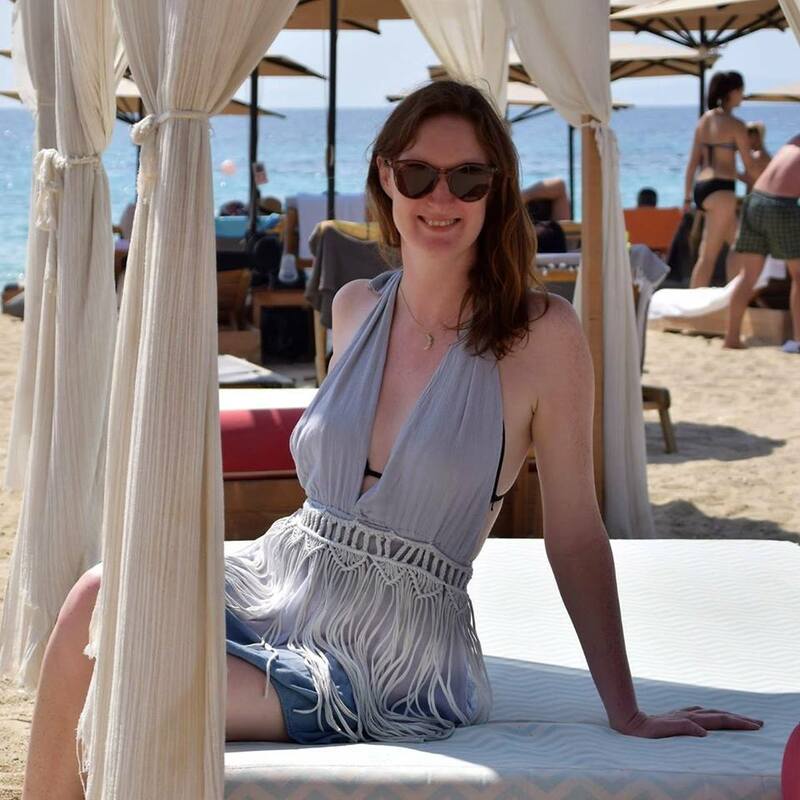 Here you can buy a freshly blended juice from a dazzling list of exotic fruits, a salty and satisfying nasi goreng, or a spicy parcel of tofu or fish and rice cutely wrapped in a banana leaf. In Penang, I discovered a huge hawker centre and night market named Red Garden. Offering an astonishing array of cuisines under one roof, it’s a Malaysia food paradise. I wanted to eat everything! 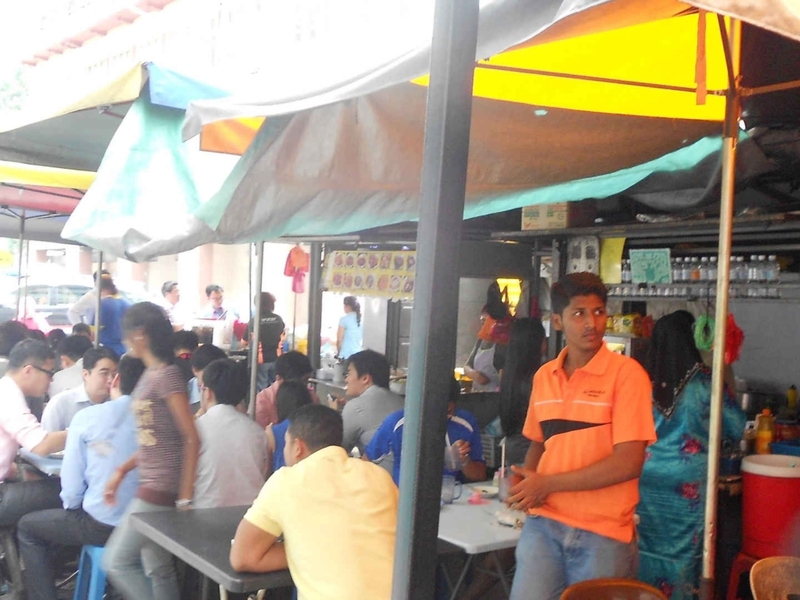 In Malaysia, as in other parts of Southeast Asia, there are plenty of hawker centres. These are communal open-air or covered complexes containing several food stalls that sell a wide variety of affordable street fare. 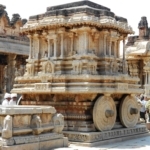 They were established as a more sanitary, licensed and permanent alternative to the street-side mobile food carts. As an added benefit for diners, there are dedicated chairs and tables where you can comfortably tuck into your meal. In Borneo‘s hawker centres, it’s easy to spend your day sampling dish after dish: noodles with barbecued pork, sweet chili chicken with greens and delicate fish ball soup. One of my favourite dishes here was a spicy laksa, which I accompanied with fresh pineapple juice. I had it for brunch – the locals in Malaysia don’t shy away from eating curry or noodles for breakfast, in fact it’s pretty normal. Laksa is a spicy noodle soup that originated from the Peranakans, descendants of early Chinese migrants who settled in Malaysia. 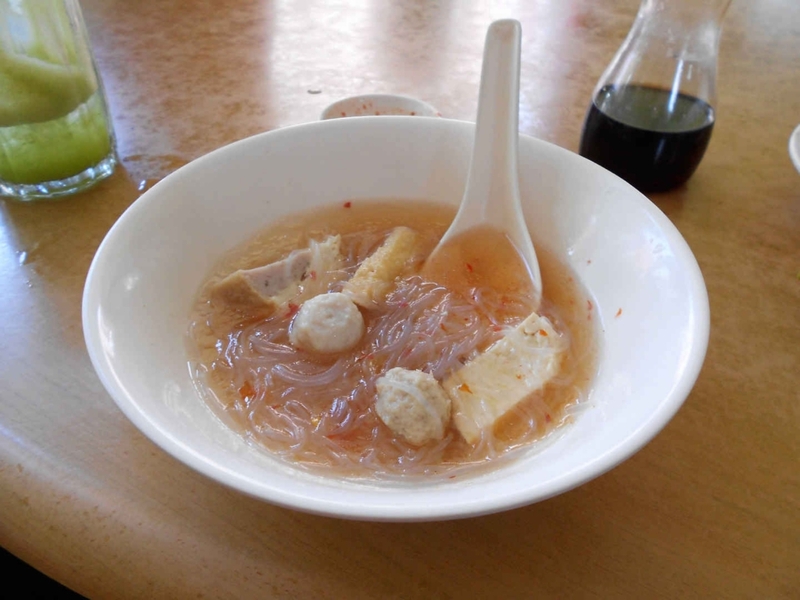 It is made with rice vermicelli with chicken, prawn or fish, served in a spicy broth. A traditional comfort food, there are various laksa recipes. 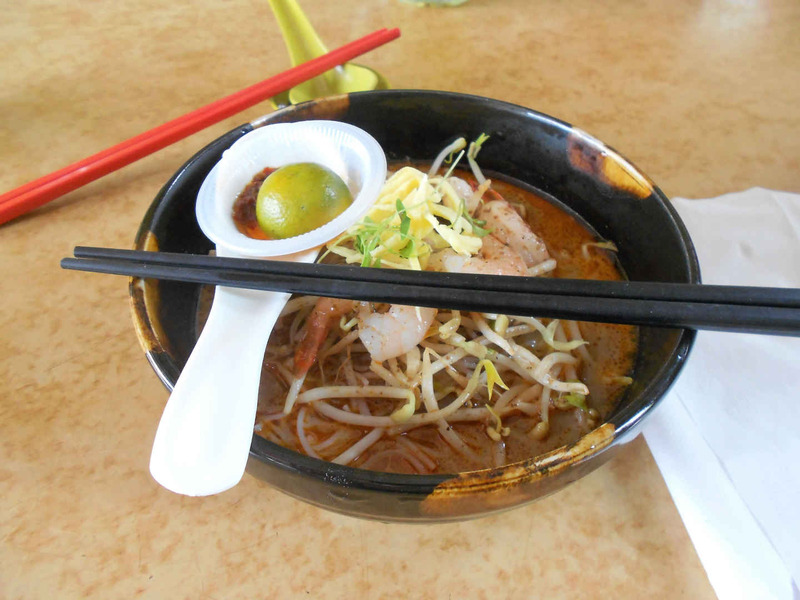 CNN Travel has ranked Penang asam laksa seventh in a list of the world’s top 50 most delicious foods. The version I ate may well have been Sarawak laksa, common in Borneo’s Malaysian state of Sarawak. Its soup base is made with sambal chili sauce combined with coconut milk, tamarind, garlic, galangal and lemongrass. The topping of bean sprouts is not traditional but added a satisfying crunch to this sweet, sour and spicy dish. 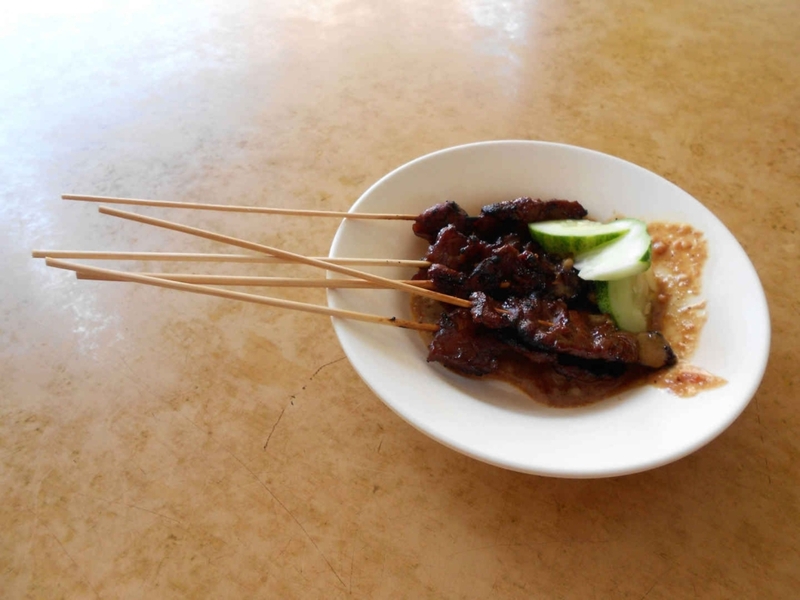 Satay – known as sate in Malaysia – has long been one of my favourite Asian restaurant dishes. Originating from the Indonesian island of Java, the most popular version is sumptuous grilled meat served on skewers with a rich, sweet peanut sauce and sometimes cool cucumber. It’s a popular dish: you often see street vendors in parts of Southeast Asia barbecuing these delicacies, with queues of customers waiting. In Malaysia, there are so many well-known satay outlets in Kajang, just south of Kuala Lumpur, that it’s been dubbed ‘Sate City’. On the Perhentian islands, the freshly-caught barbecued fish and seafood is a highlight. There is also a bounty of refreshing soft beverages, including a creamy coconut milkshake that resembles a Mr Whippy ice cream. My personal favourite was the iced Milo. Like hot chocolate on ice, it combines rich cocoa sweetness with warm and cool temperatures on your tongue. Total dreamy liquid pleasure. The best street food in Kuala Lumpur was a little harder to find. 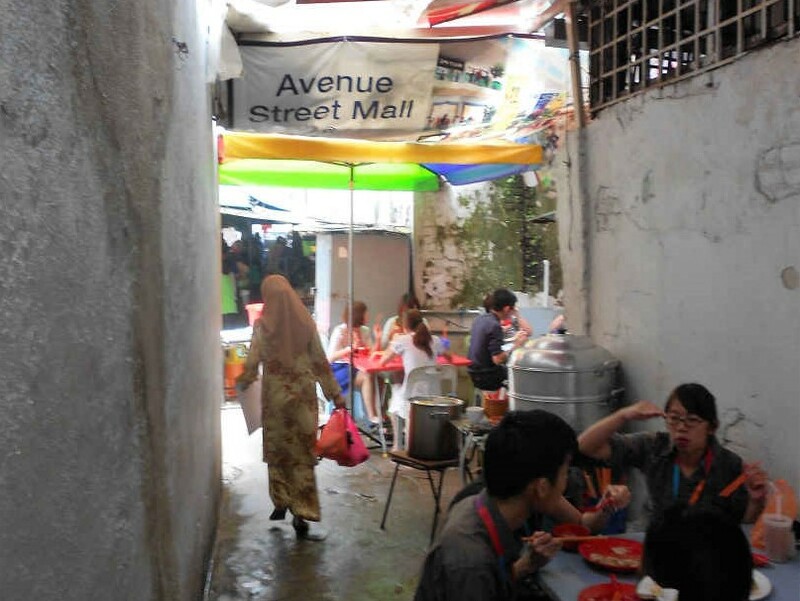 My hostel owner shared with me how to find a little-known eatery, hidden down a secluded alleyway off Jalan Tun H S Lee in the city centre. I walked through to find a busy open-air hawker centre full of locals. I felt a little self-conscious perused the menus and found something that looked like it would hit the spot. I chose stewed pork with mooi chai steamed rice, washed down with iced liquid sugar cane. Sounds good, right? 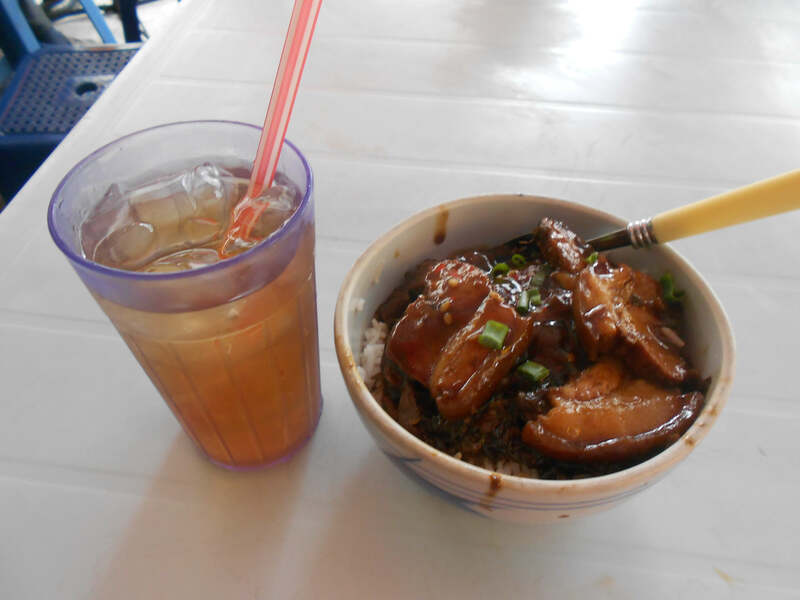 The marinated meat was darkly sweet and melted in my mouth, while the liquid sugar cane provided the refreshing sugary hit I needed as a respite from the day’s hot sunshine. The street food in Malaysia is a great reason to visit this country, to feast on its tasty delights as you explore the country’s destinations. So get stuck in! Next up, read about how to backpack Malaysia with my top 5 best tips. The Malay people also influenced our own cooking in South Africa. Thanks for this, it really makes me hungry! Isn’t eating the best part of traveling? Too many restaurants, not enough meals!